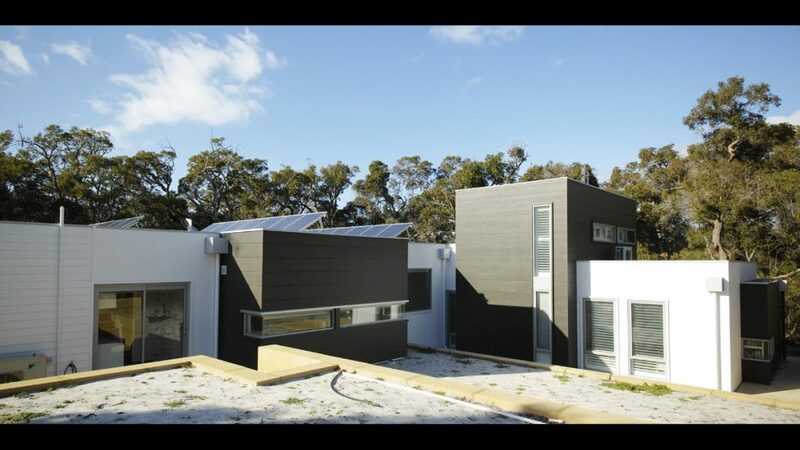 The owners of this home worked closely with Evan to design a functional family home which was both solar passive and made the most of the bushland views from the southern side of their rural lot. 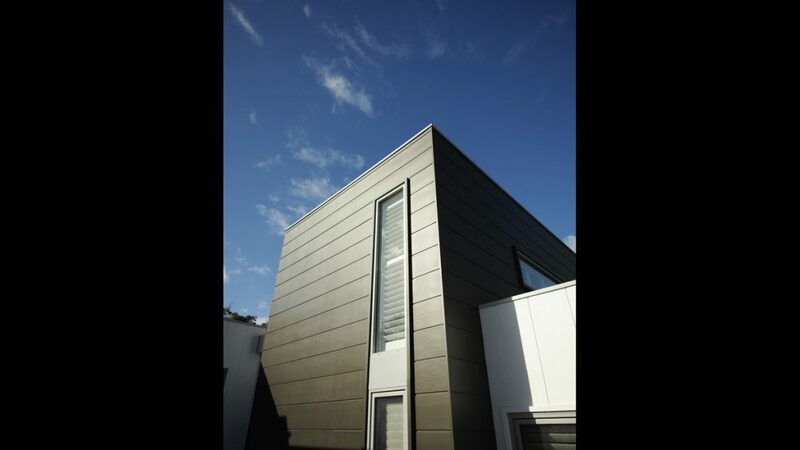 This timber frame home has been clad in Scyon Stria laid both horizontally and vertically then painted in contrasting colours resulting in a contemporary architectural style home. 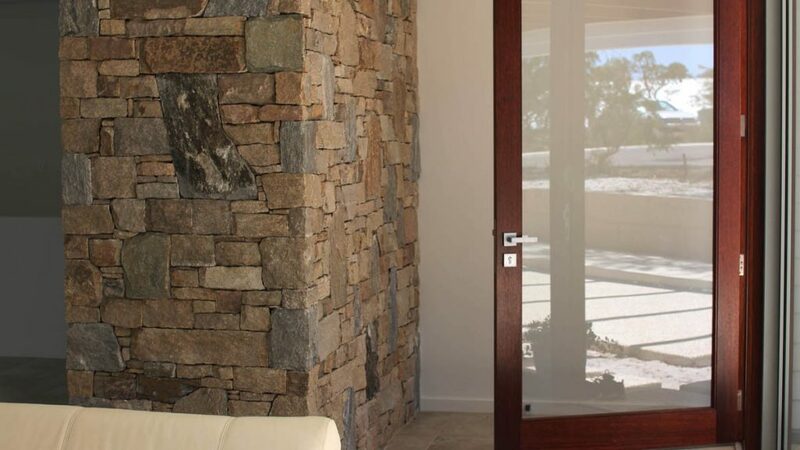 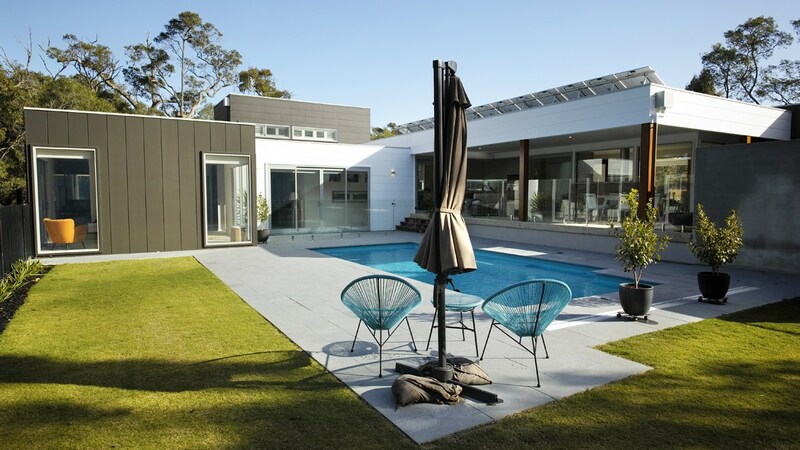 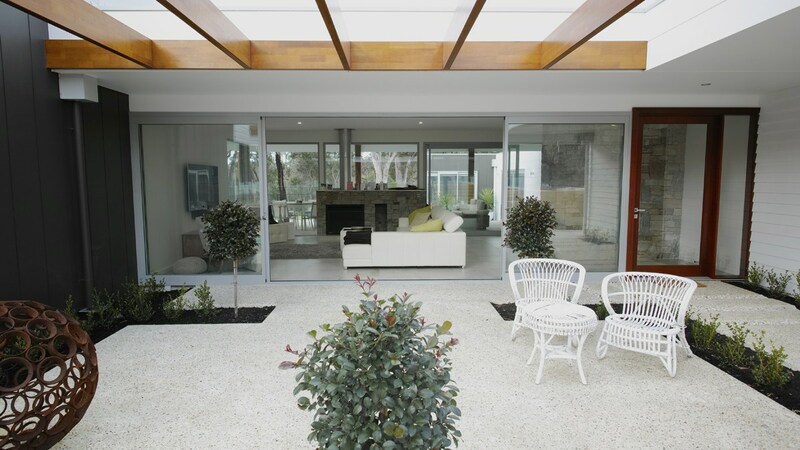 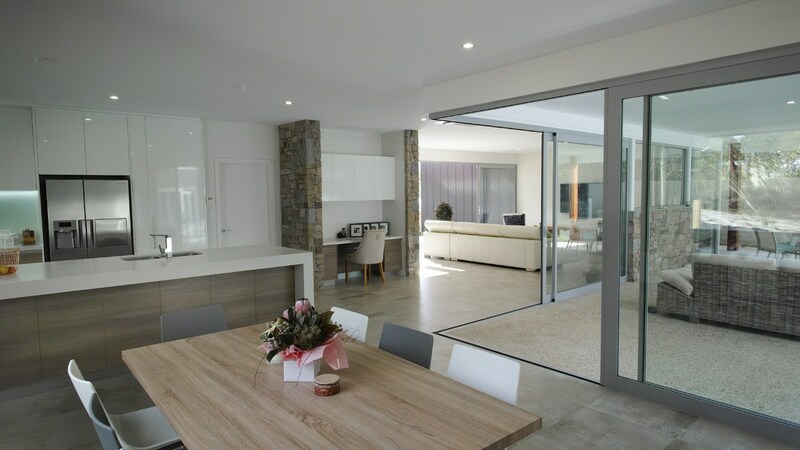 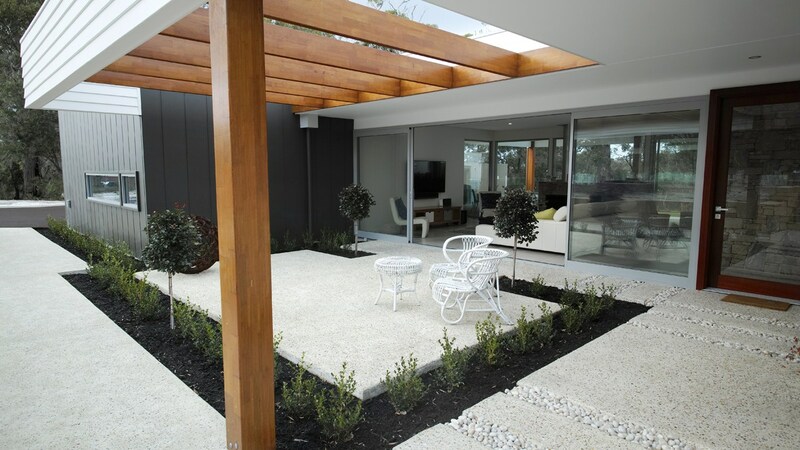 The large recessed sliding doors open out to the alfresco area giving a sense of indoor outdoor living. 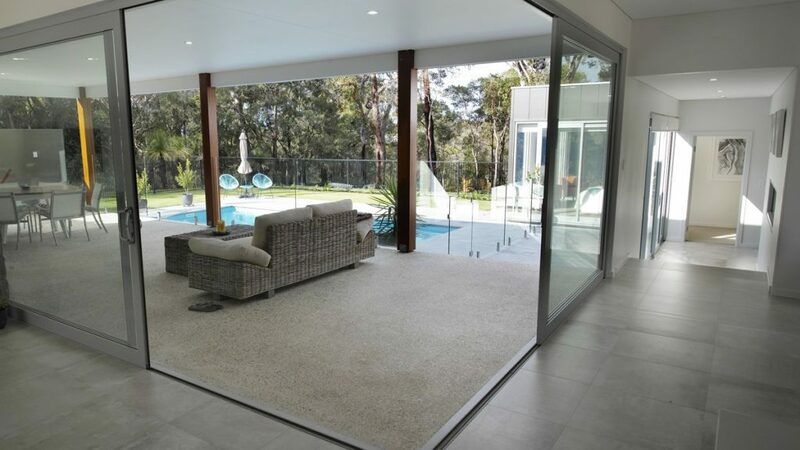 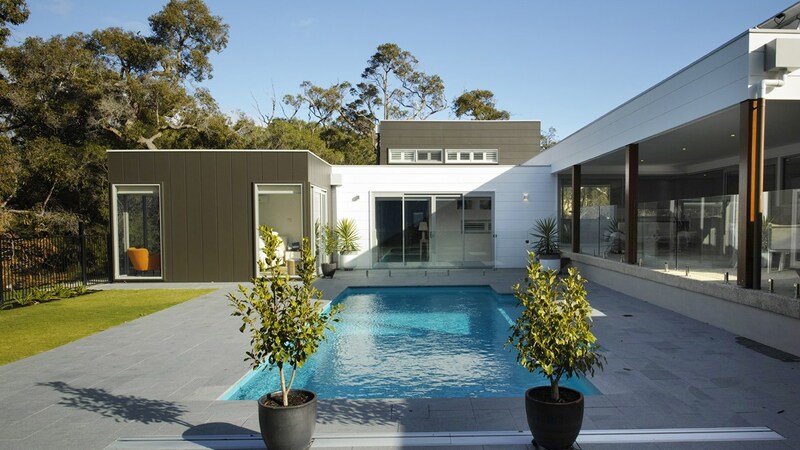 The family enjoys an impressive view of the luxury pool with bushland backdrop from all areas of the home, bringing the outdoors in during the winter months aswell. 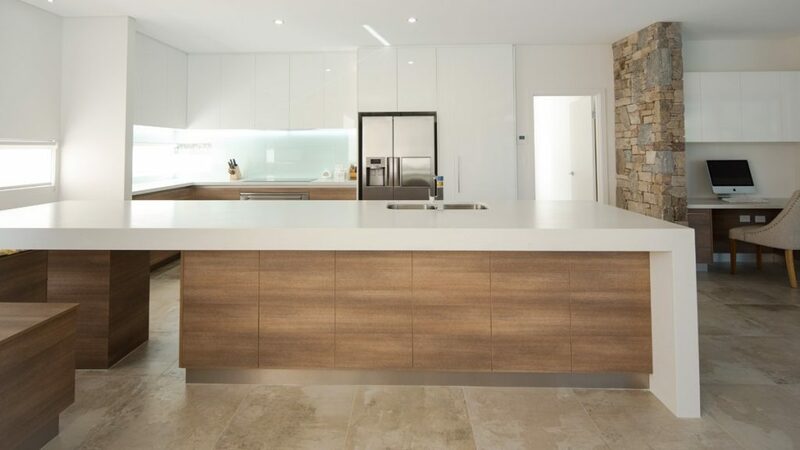 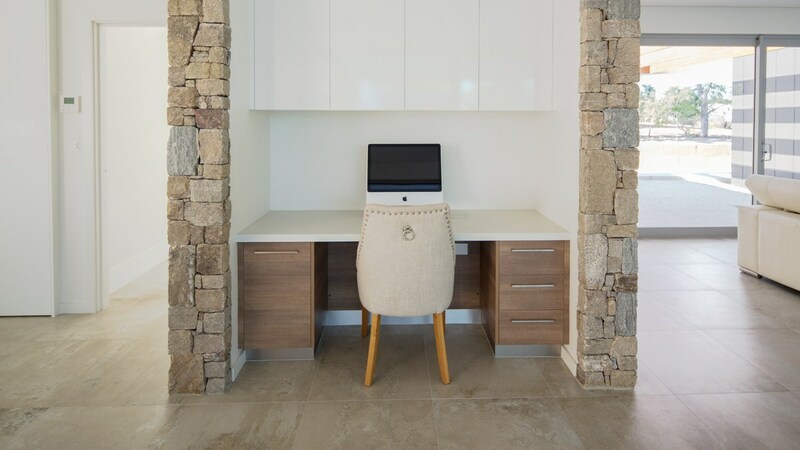 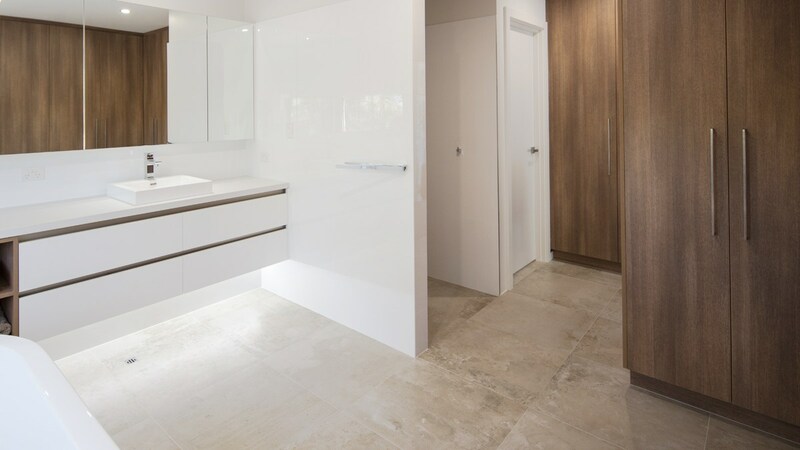 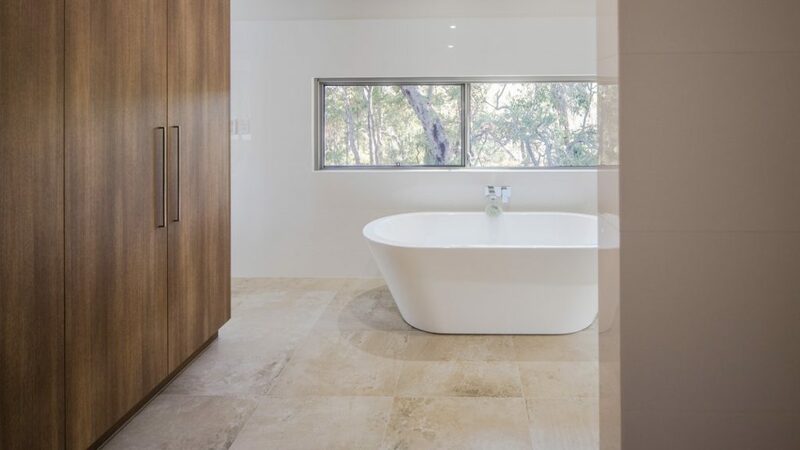 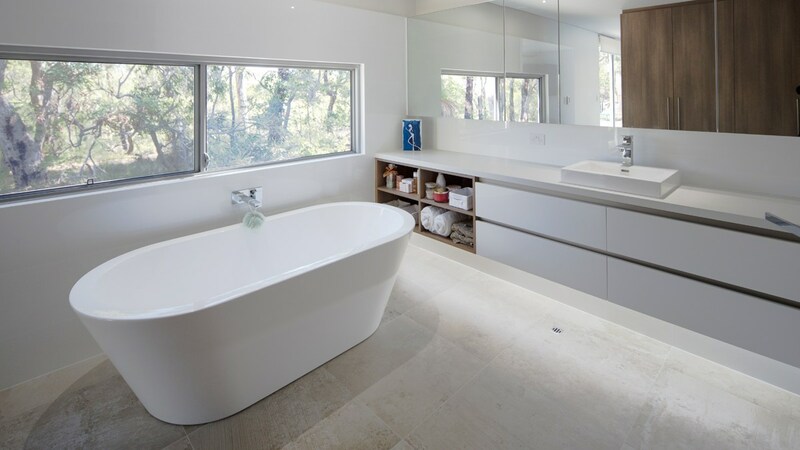 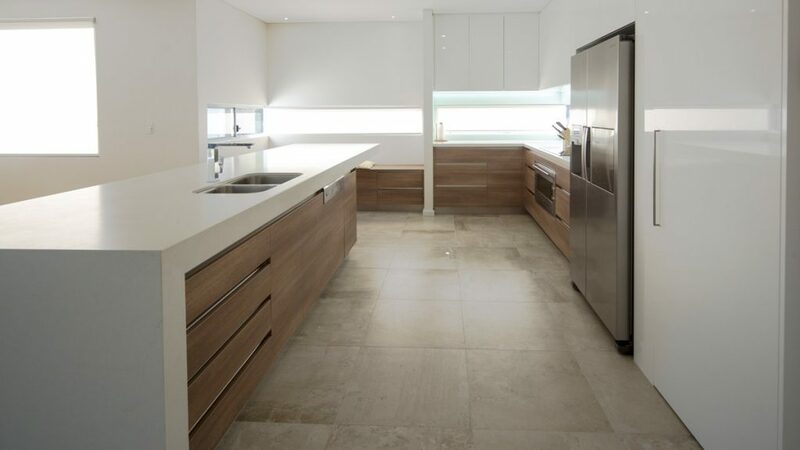 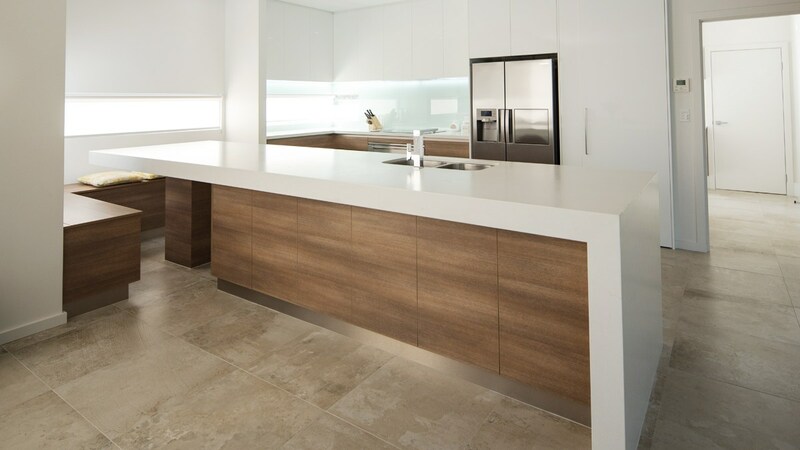 The combination of internal stonework, impressive kitchen with cafe style seating and luxury master suite has resulted in this beautiful home winning best timber frame home over $750k 2016 MBA Awards.